wiredfool » Hallo. My Name is Inugo Montoya. Hallo. My Name is Inugo Montoya. 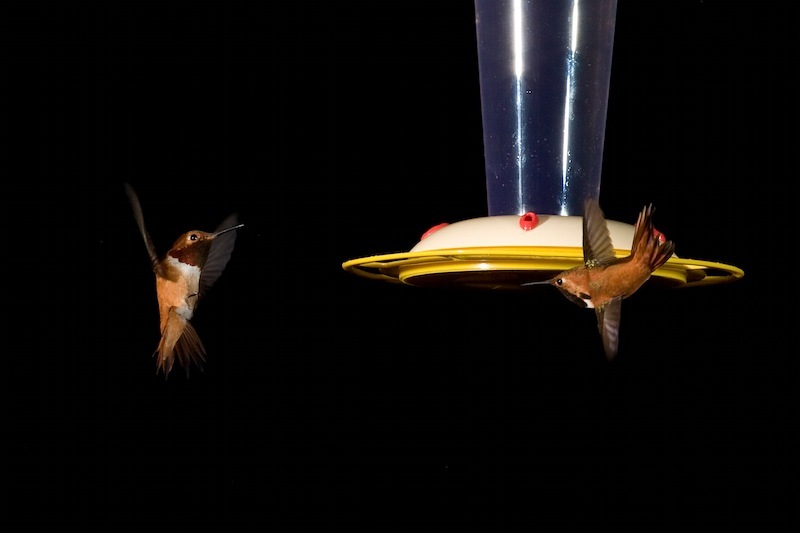 This is from a few days ago when I hauled out the lights to light the little hummers. Got some good pictures, but I’m still working on it. Today when I went to replace their food at dusk, I wound up with two feeders in my hand, and eight birds eating out of them — one per spot, with a bunch more whizzing around. I’m going to have to try that again with video.